As I said in Monday's post I spent a good few weeks sourcing supplies, most came from Amazon or Ebay but I don't think they were neccessarily the best places, I had to keep sending my crepe paper back as it was the wrong colour and tissue paper on Amazon was kind of expensive, I should have just gone to Paperchase - oh well! 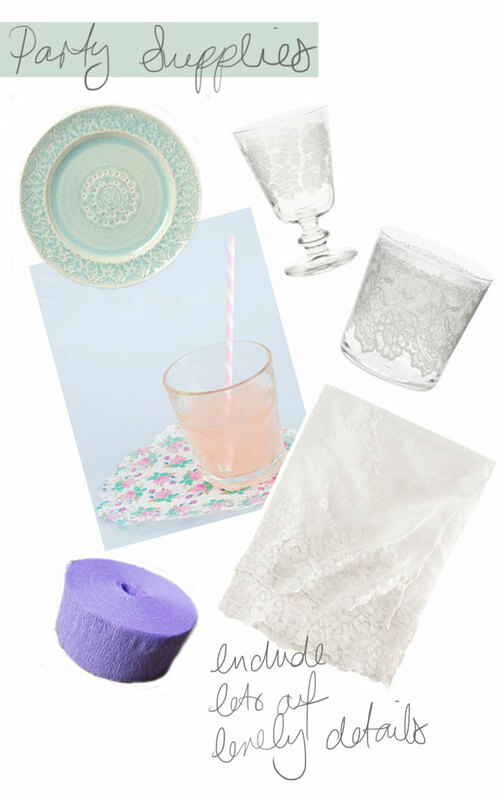 Along with disposable items like the tissue decorations I brought a few bits that I have put into a party kit most things I brought in charity shops or already had but I have rounded up my favourite items, you can see the focus is on pretty pieces that can be used in different ways with each event that you host. This are nice party supplies, thanks for share!